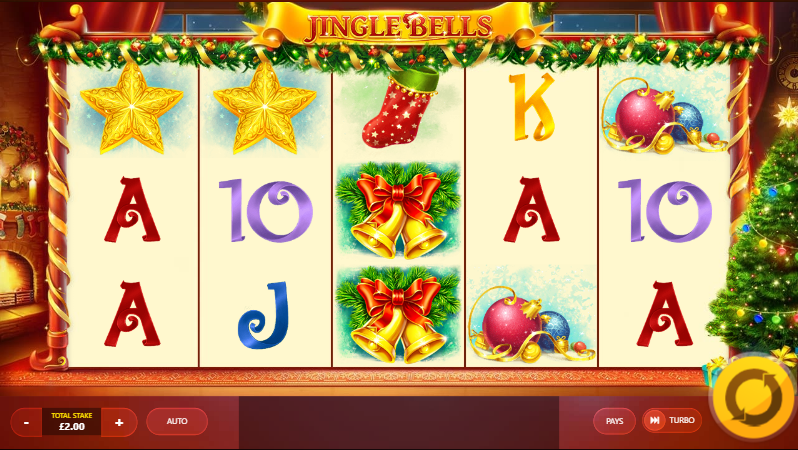 Jingle Bells is a Christmas-themed UK online slot game from developer Red Tiger Gaming. Santa Claus himself is the game’s main character, and the graphics evoke the festive season, with snow, jingling bells and holly all very much to the fore. The colours are festive too, with gold, red and green helping create a really Christmassy atmosphere. Underneath all the holiday trimmings, this is a pretty standard slots game, and you should find it easy to play, whether you are familiar with it or not. 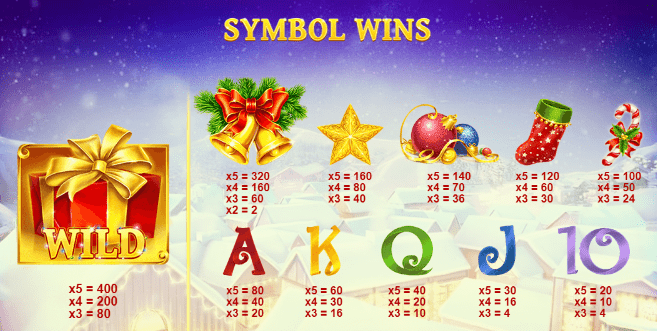 If you are keen on playing slots online at SBaby then the format of Jingle Bells should be very familiar to you. The setting for the game is a cosy Christmas room, with a fire crackling away in the corner. Festive music evokes the sound of sleigh bells and carol singers. This game is played across five reels, with 20 pay lines available. There are five bonuses on offer. These are Free Spins, Mega Wilds, Raining Wilds, Santa’s Bonus and Christmas Tree. If you land three Free Spins symbols anywhere on the reels you will win up to 20 free spins. The 3x3 Mega Wild offers even more thrills to players. The man in the red suit is key to Raining Wilds bonus, as he will appear on the reels and chuck presents in the air. These fall across the reels as wilds. Santa’s Bonus offers you up to 800x your stake, with you opening gifts to see how far Santa will travel across the rooftops. The further he goes, the more generous his gifts to you are. He will leave you a gift under the tree with the Christmas Tree bonus, which offers you up to 20x your stake. Red Tiger Gaming has its registered office on the Isle of Man and was founded in 2014 by European and Asian veterans of the online casino game industry. They are responsible for the development of a number of online fruit machines games and hold licenses from the UK Gambling Commission, the Malta Gaming Authority and the Alderney Gambling Control Commission. Their games are developed using an HTML5 framework, which allows for the use of HD graphics and fully immersive sound. Innovative features such as ceiling jackpots and daily jackpots are an integral part of Red Tiger’s games. The Smart Spins bonus module is also deployed in the company’s games. This is an adaptation of bonus features that integrates them into the heart of the game. Christmas time should always be fun, and this game certainly fits into the jolliness and joy of festive holidays. With Santa Claus bringing plenty of bonus gifts, and a cosy Christmas fireside atmosphere to enjoy, everyone should be able to find something to delight them in this game. The bells really jingle, and the red, green and gold graphics should cheer the heart of even the deepest cynic. You can find Jingle Bells in your favourite online UK casino. Play today at https://www.slotsbaby.com.